Fourteen drivers attended the annual drivers' meeting at The Wroxton House Hotel, near Banbury recently. The Coordinator's Report recorded the Championship had an exceptionally good year by recent standards when measured by the average number of competitors attending events. The 2014 average was 4.6 entrants compared to just 3.6 the previous year. All agreed this was good news, but still more needs to be done for the Championship to be regarded as being in rude health. Drivers continue to appeal to others to join us in helping to keep the marque active on the race circuits and hills of the UK. 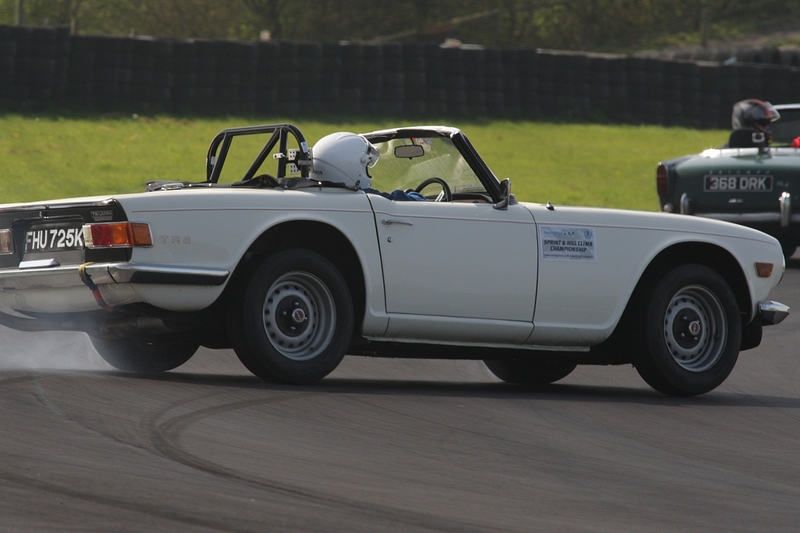 We welcome both new and past Triumph drivers, including non TRs. The best event for the year was the Red Rose Speed Pageant held at the Prescott Speed Hill Climb run by the Longton and District Motor Club. The Promotion and Publicity Report reported good coverage of the championship in TR Action and on Facebook. Drivers were successful in getting more action images, usually by simply asking amateur photographers to send their best images into the office. Use of both the website and the forum declined and as a result the summary statistics for these two media were poor. Activity needs to be more frequent in 2015. Drivers also agreed to update their profiles on the Competition News section of the website and to display a brief summary of their car on the windscreen at each event.